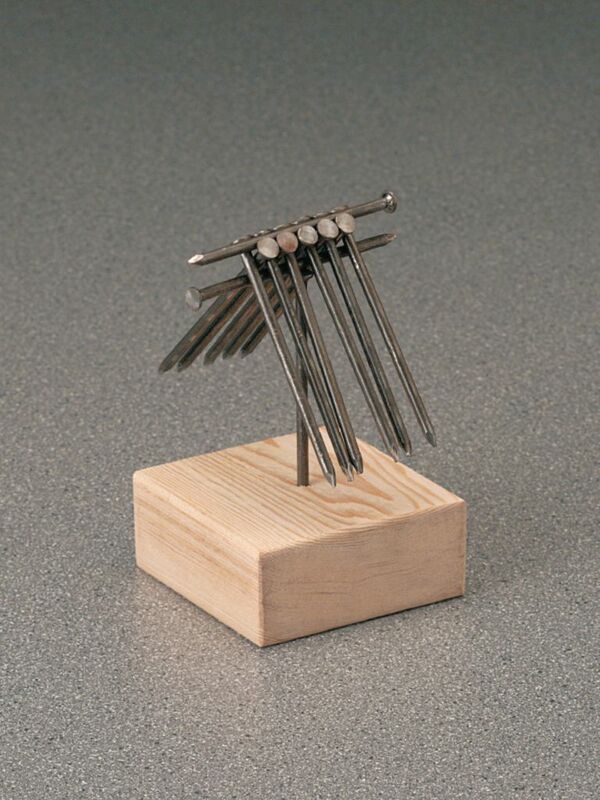 Make your lessons on center of gravity and equilibrium more dramatic with this simple but effective visual tool. Students balance a grouping of 14 nails on the head of a single nail standing in a block of wood. Demonstrates that systems that have their support point above the center of mass are easy to balance and will remain in equilibrium unless acted upon by an outside force, and that systems with a support point below the center of point are inherently unstable and will fall unless stabilized by an outside force. Includes: 15 nails with blunted tips, wooden support block, instruction sheet with diagrams.